File photo - Many Iranians see no option but working as porters, risking their lives in such circumstances. Kurdish rights activists say Iranian security forces opened fire on a group of Iranian Kurdish men – working as porters importing goods from neighboring Iraq – killing one and injuring two others. Reports from the Center of Democracy and Human Rights in Kurdistan said Nameq Gholami was killed on Sunday, January 13, near the western town of Baneh in Iran’s Kurdistan province, adjacent to Iraq. Jabbar Ahmadi and Karzan Aminzade were severly wounded. In yet another case Iran’s military border forces shot and killed 25 year old Sirvan Hassanzadeh at the zero point of Sardasht border in western Iran where he was working as porters to import goods from neighboring Iraq. Meanwhile other reports say Shahriar Khezri, 20, was also shot in the head and severely wounded on January 12. The reports did not provide other details of the shooting or identify which branch of the security forces was responsible. An annual report by Human rights groups including the Human Rights Activists News Agency said that at least 300 Iranian citizens were directly or indirectly killed or wounded by Iran’s state security forces in 2018. According to the report which has been compiled from January 1, 2018 to December 20, 2018, at least 142 reports were published about these incidents which indicate the widespread use of lethal force by Iran’s security forces without due process which amounts to arbitrary killings. Iran’s state forces carry out these shootings without any legal implications and with impunity. The report does not include citizens who were killed during protests, killed in prison or those who were undergoing prosecution. Over the course of 2018, around 48 kolbars were killed by direct or indirect fire by security forces while 104 porters were wounded. According to the gathered, at least seven kolbars were killed due to hyperthermia and avalanches, five died after falling off elevations, while one person died from a heart attack as a result of poor working conditions. The report said that at least 100 horses and mules were also killed by Iran’s border forces. Porters say that members of Iran’s Islamic Revolutionary Guard Corps have defended such shootings by saying they mistook the porters for Iranian Kurdish militants who are active in the region. But the kolbars have said there is no accountability for the shootings, with the IRGC forces involved in the incidents being reassigned to other locations rather than being punished. 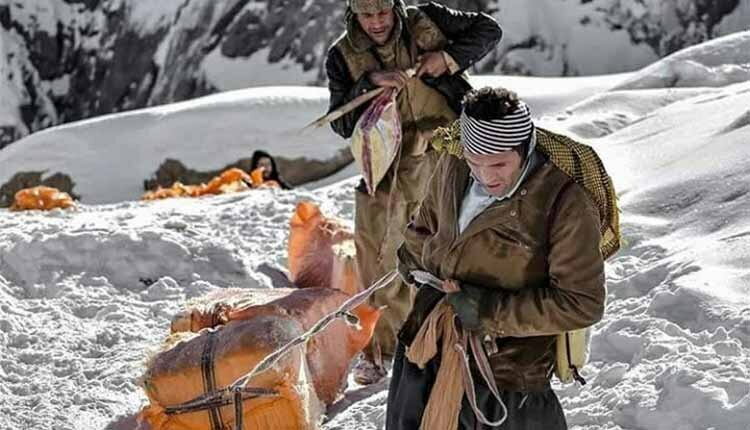 Iranian Kurdish porters, known locally as kolbars, have carried goods across mountain footpaths from Iraq to Iran for years. The practice is one of the only sources of income in Iran’s predominantly Kurdish northwestern regions, which are among the nation’s most impoverished. Working as a border porter has turned into a prominent occupation for many in Iran’s western cities bordering Iraq and Turkey. Though it could hardly be called an occupation and is more of an obligation. In Kurdistan province, where unemployment rates have soared as high as 40% among the youth, many young people have turned to this occupation. In comments carried by the state-run ILNA News Agency the head of the Construction Workers’ Association in Marivan and Sarvabad said that the number of porters increases in winter months as it is “unemployment season” for construction workers. “A few months of unemployment for a construction worker with a family who does not enjoy services such as unemployment insurance, leaves no other option than to work as a porters in the cold and difficult conditions of the mountains,” Mikael Sedighi said. “People are forced to work as porters. The people in the border regions lack a productive economy and factories. There are no facilities. Therefore they are forced to work as porters,” the labor unionist said. “I know of women in border villages that have resorted to porter work. Women are paid less because they cannot carry as much as men. Porters get paid depending on the weight they carry,” Sedighi said adding that he knew of women who worked as porters for 10,000 tomans (around $2).